A New American restaurant and wine bar has opened its doors in the neighborhood. Called Walton Street Kitchen and Bar, the newcomer is located at 912 N. State St. in the Gold Coast's No. 9 Walton building. It comes courtesy of husband-and-wife team Ryan and Anna O'Donnell, who also own Coda di Volpe and Gemini as part of Ballyhoo Hospitality. On its website, the restaurant says it aims to "offer thoughtful, inspired food and drinks that satisfy in memorable ways again and again." Stop by for lunch, dinner or weekend brunch. For lunch, menu offerings include the Caprese sandwich with heirloom tomatoes, mozzarella and avocado pesto on multigrain toast, a king crab and avocado salad and a grass-fed burger. 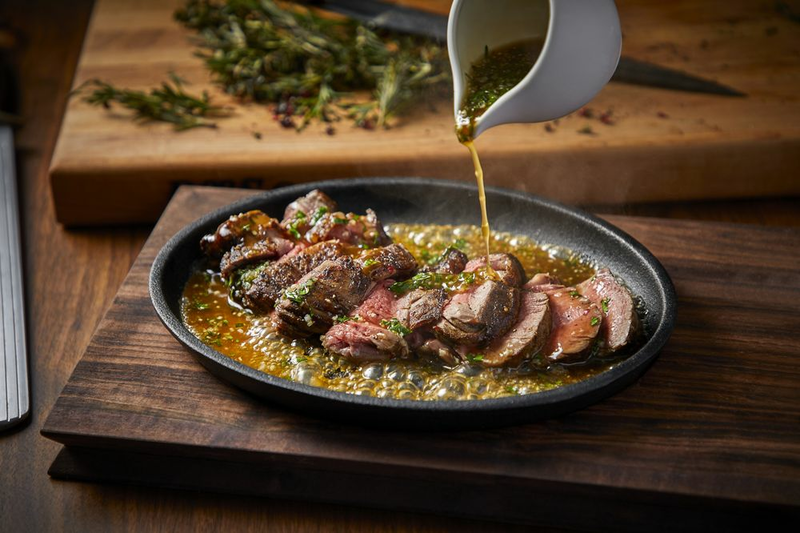 At dinner, standout options include the tri-tip steak with berbere dry rub and sweet potato and the cast-iron red snapper. Thirsty? A series of signature cocktails and wines are on offer. The full line of offerings can be seen here. Walton Street Kitchen and Bar has gotten an enthusiastic response thus far, with a five-star rating out of four reviews on Yelp. Kevin K., who reviewed the new spot on Sept. 10, wrote, "Our entire table was very impressed by the comfortable, yet stylish decor and excellent food. The restaurant can easily get away with charging more, but I'm not complaining about the affordability." Marc B. added, "We had the crab leg and hamachi crudo as appetizers. Two salads. Entrees ordered were chateaubriand, tuna tataki and red snapper. The food was all perfectly prepared and served at correct temperature." Swing on by to take a peek for yourself: Walton Street Kitchen and Bar is open from 11:30 a.m.-10 p.m. on Monday-Thursday, 11:30 a.m.-11 p.m. on Friday, 10 a.m.-11 p.m. on Saturday, and 10 a.m.-10 p.m. on Sunday.